Lois and Clark are laying in bed when a strange shadow creature approaches Clark and temporarily paralyzes him. The next morning Lois says, "You're up early," after Clark gives Lois a recap, she explains to him that it could be Sleep Paralysis. The next night the same shadow comes but this time heads for Lois, Clark immediately tries to blast the creature with his heat vision setting the night table on fire. This causes Clark to doubt his sanity, if this isn't real, then it is he who is the threat. The next night Clark rigs an Omni Scanner to catch who or whatever is haunting him and his wife. Trap set and sprung, it is revealed that the "ghost" is Xa-Du, the first Kryptonian to ever be put inside the Phantom Zone. Xa-Du discovered soft spots in the Phantom Zone allowing him to "haunt" the last son of Krypton with hopes that his fear would destroy him. At the Fortress of Solitude, Superman informs Lois that he has reinforced the boundaries of the Phantom Zone but without knowing the cause it could easily happen again. As Superman stares in another direction, Lois asks if everything is okay, "It's nothing, just thought I saw something out of the corner of my eye." Story - 3: This story wasn't bad, after all how can you scare the Man of Steel? The writer creates an interesting "ghost story" that does just that. The problem I have is at the end. How exactly does Superman reinforce the walls of the Phantom Zone? It was a rather weak solution to a problem created. The saving grace is the very end were Superman shows a sign of paranoia, thinking he sees something out of the corner of his eye. I wonder if this paranoia will make its way into the Bendis run? If it does, perhaps I would go a point higher, but I doubt this will happen. Art - 5: I am not familiar with this artist, but I quite enjoyed it. Clean line work, not over stylized but very realistic and pleasing, plus the shadow creature looked creepy, so job well done. Would love to see more of this artist on a Superman title. 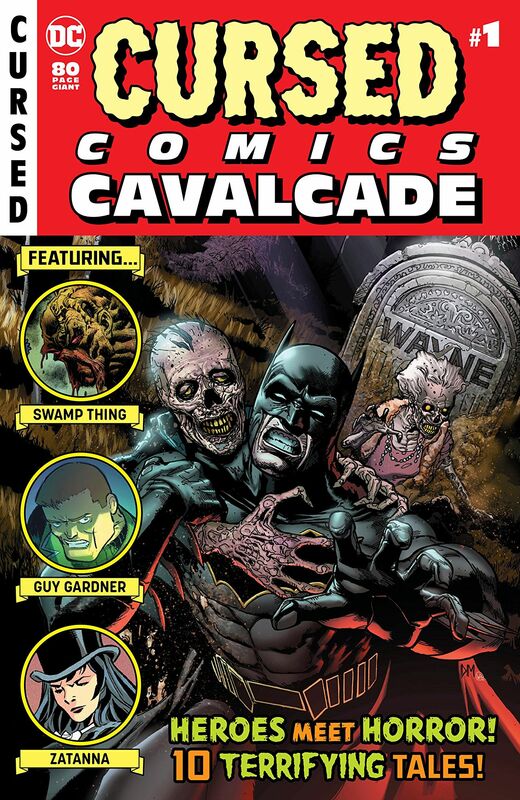 Cover Art - 5: While not a Superman cover, Mahnke nails a stunning picture of a decaying Thomas Wayne attacking Batman in a graveyard. There is no debating, by the look of the cover, what to expect on the inside.